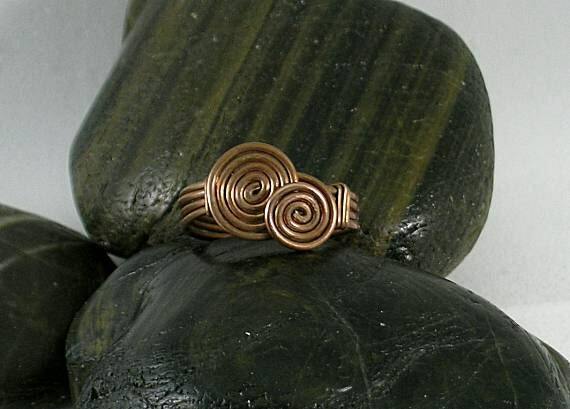 This ring is made of wire wrapped raw copper and is embellished with 2 spirals that measure approx. 8mm and 12mm. This listing is for a size 9. It can be custom ordered in other sizes and metals. Available metals are bronze, silver filled and sterling silver. We ship our handmade products via USPS Priority Mail with Insurance for safety and so that you will receive your package in 2-3 days once it is posted. Plus, you can track its progress on-line. This is the oldest symbol known that was used in spiritual practices. It reflects the universal pattern of grown and evolution. It helps consciousness accept the turnings and changes of life as it evolves. The acceptance of change is one of the greatest freedoms a human can experience, putting consciousness in the present moment where the POWER OF CREATION is condensed. 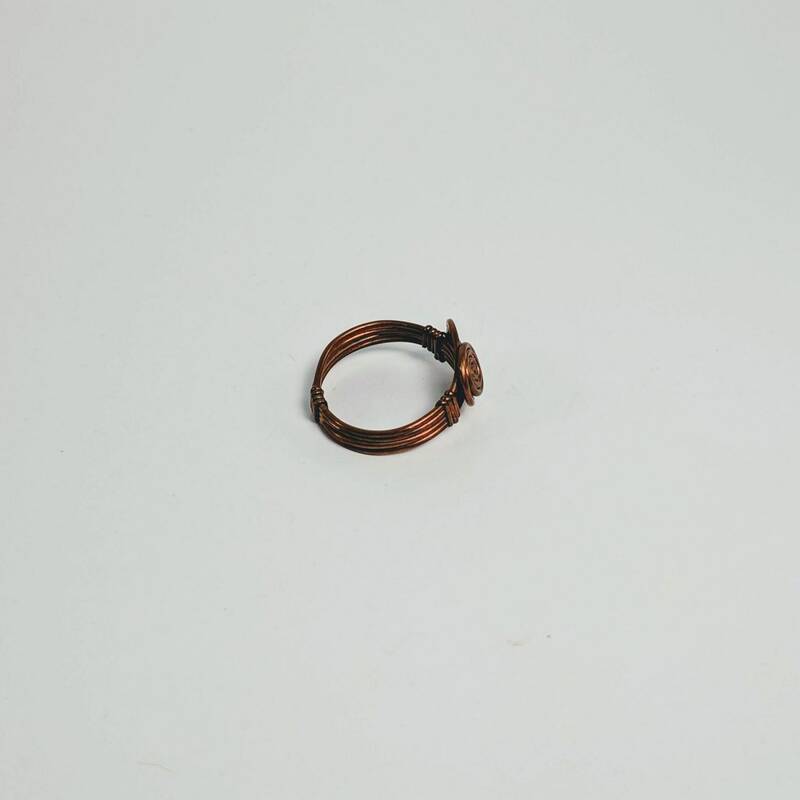 Cleaning Copper: This is uncoated raw copper so it will tarnish! 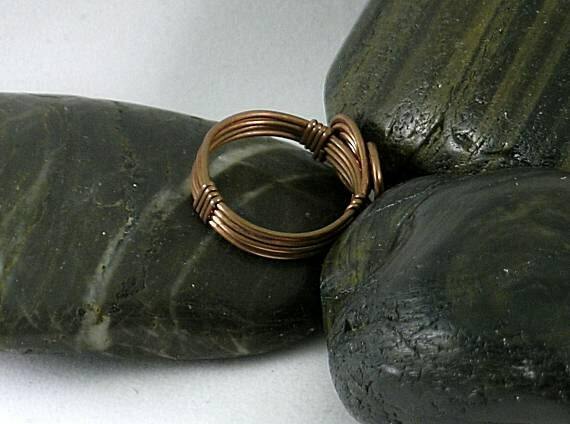 Many people like the antiqued look and others want their copper to stay bright. To remove the oxidation simply put vinegar or lemon juice on it and allow to set a couple of minutes while the acid restores the shine. Rinse in water and then dry. Buff with a polishing cloth and it looks like a new lucky copper penny! 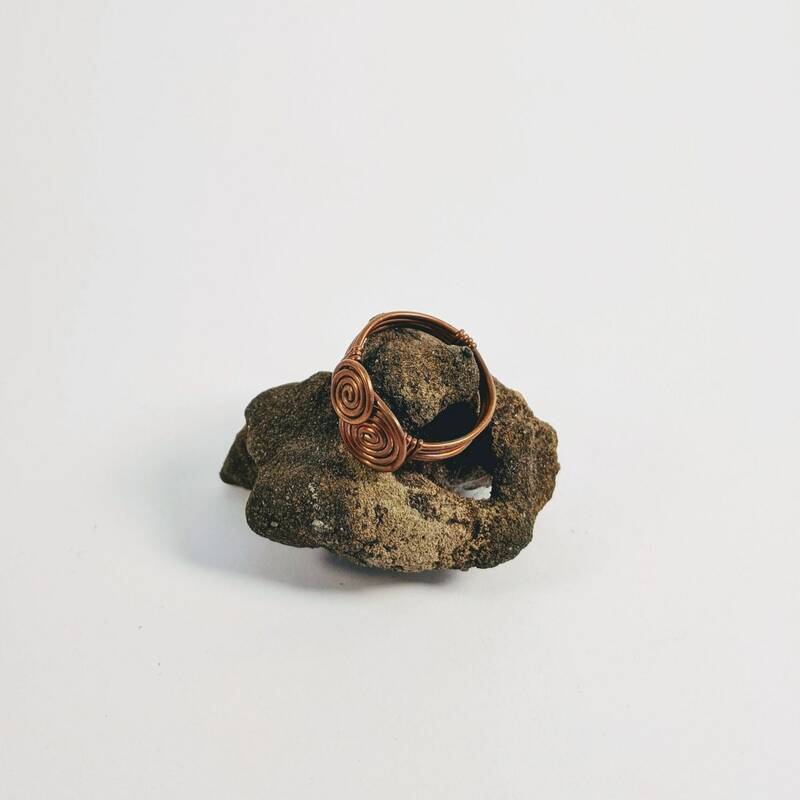 Copper is conductive so many people believe it helps the energy flow through the body relieving ailments like arthritis, rheumatism and any painful condition. Can be worn for general healing and to prevent sickness. To be most effective wear in on the left side of the body if right-handed and the reverse for left-handers. History Notes: In ancient Mesopotamia, it was attributed to the Queen of Heaven as well as the goddesses associated with the planet Venus: Ishtar, Astarte and Inanna (their Sumerian predecessor). In Roman times, this included Aphrodite, the goddess of love and beauty. 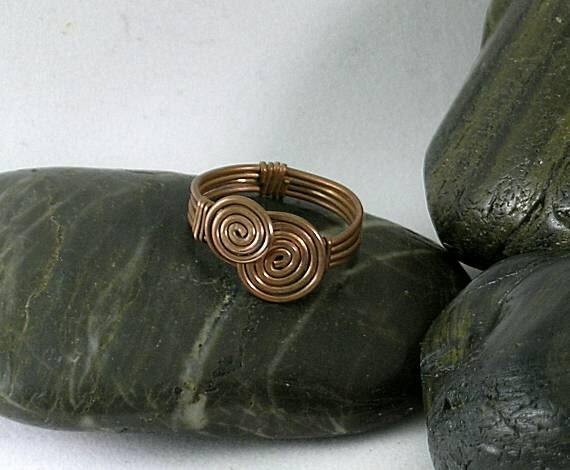 Copper was sacred to the Sun in Babylon as well as the Pacific Northwest (US). 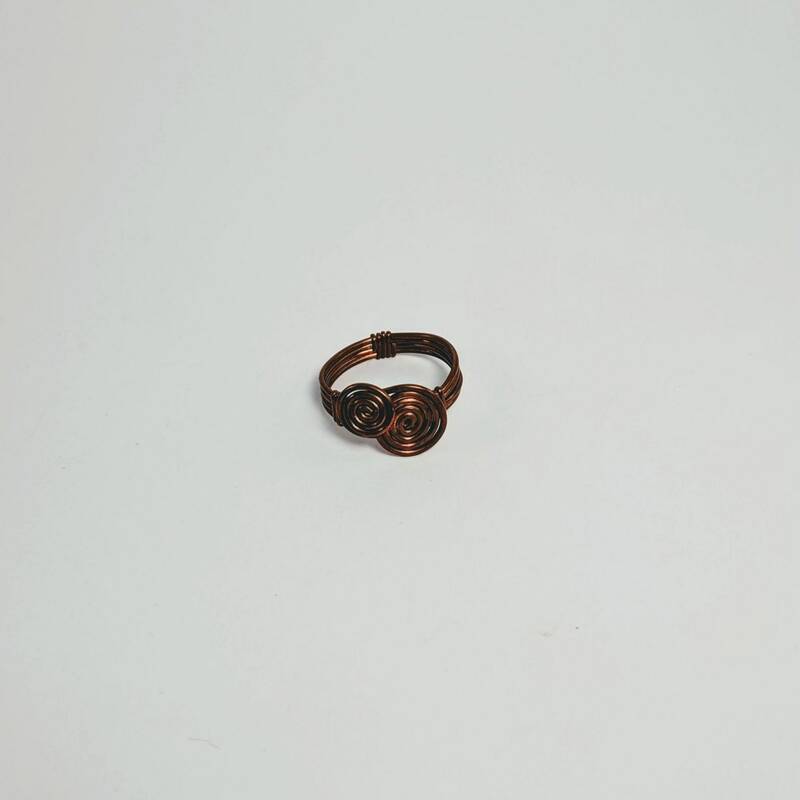 Its association with past solar attributes makes it a lucky metal to be used with good fortune gemstones.